Serving Greater Waltham for Over 25 Years! If you are looking for personal attention and honesty when it comes finding a rental then you have come to the right place. CJL Management provides high quality rental services for approximately 100 landlords in the metrowest and northwest area of Boston. 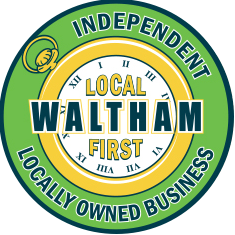 We have been serving Waltham and surrounding towns for over 25 years. Our staff is educated and responsive. We are dedicated to finding the right fit for the tenant as well as the landlord. Let us help you find a great place!